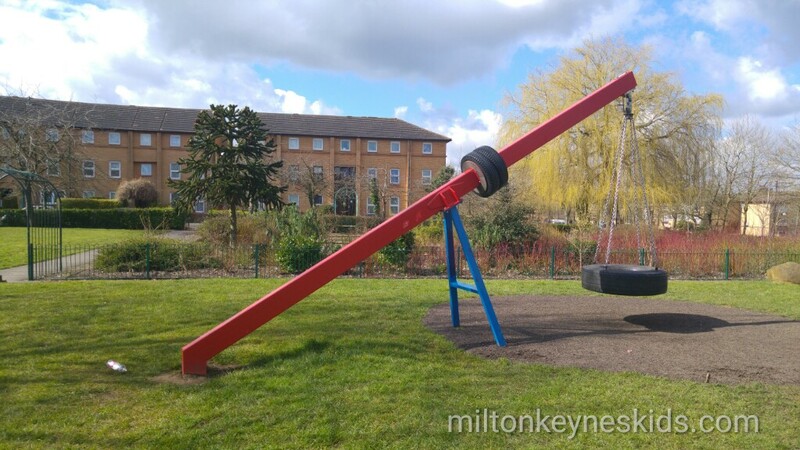 There’s a big swing, baby swings, climbing rocks and gym equipment at this park in Fishermead. 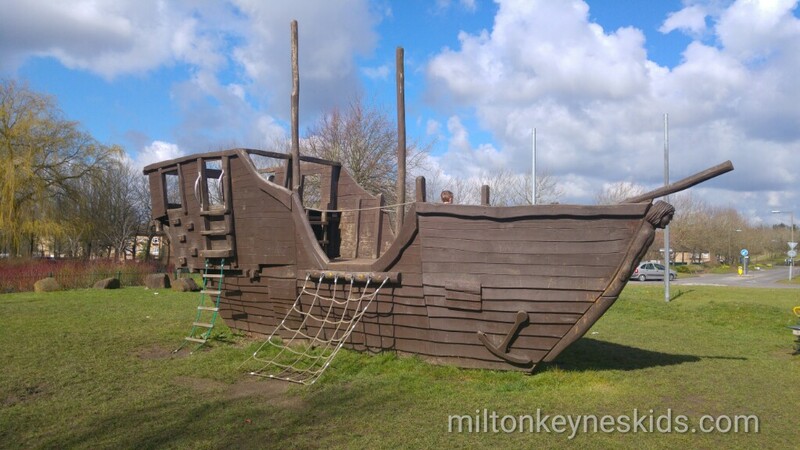 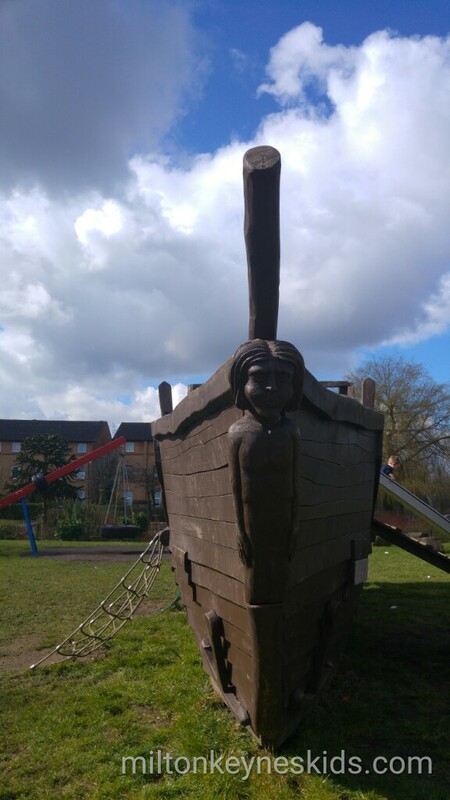 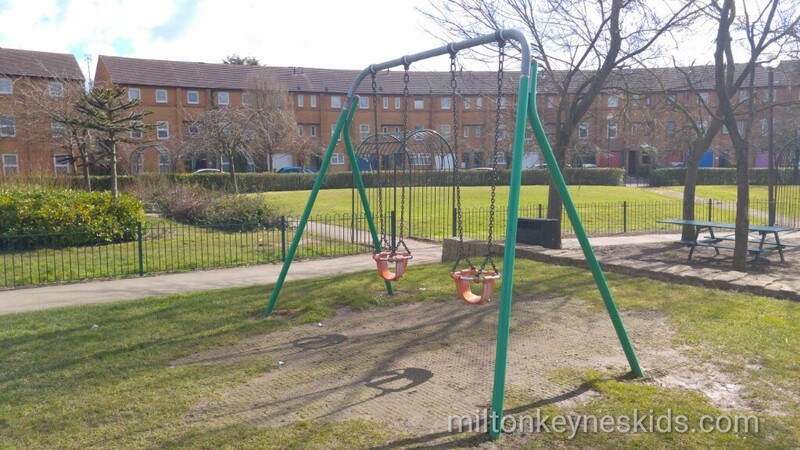 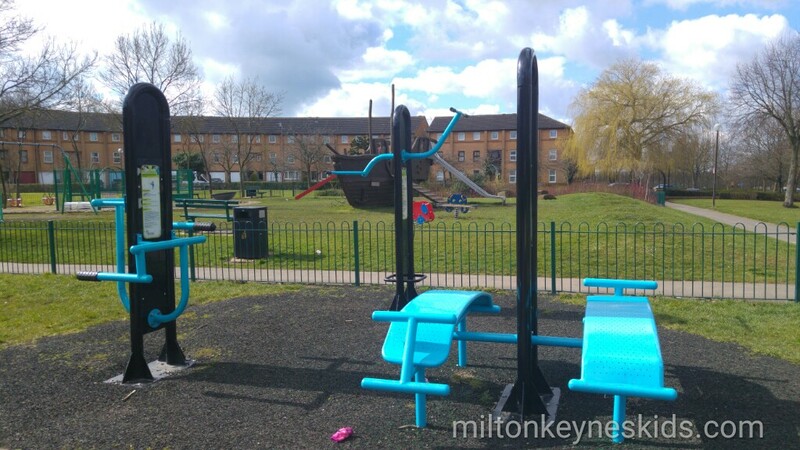 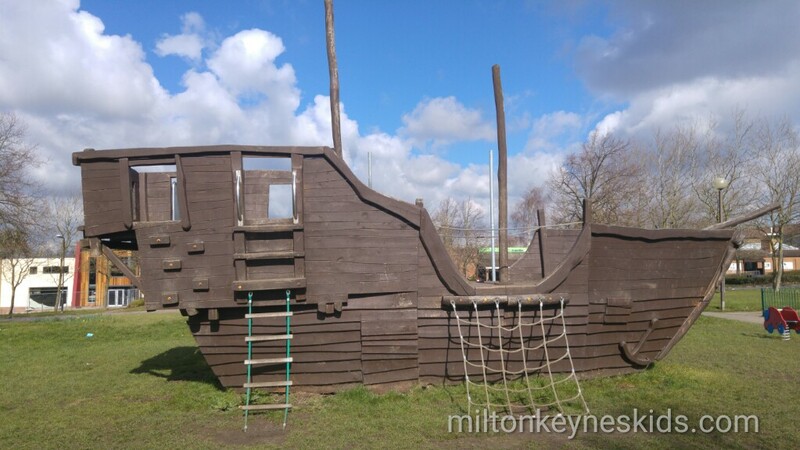 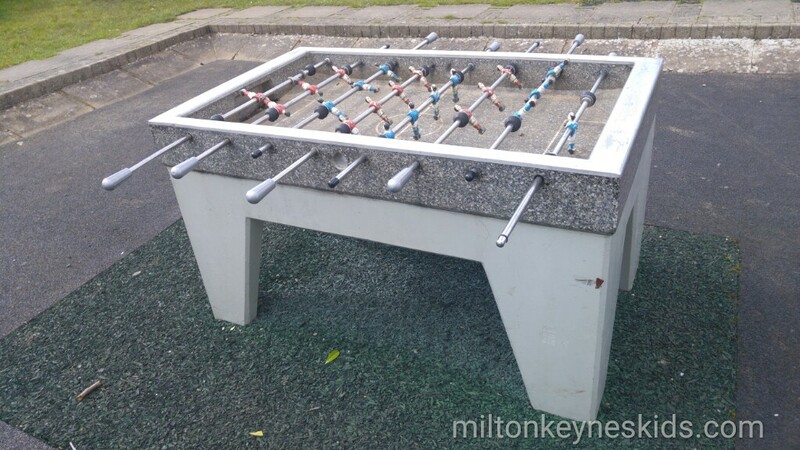 I’ll be honest though, the play equipment at this park could do with updating, BUT, if you have a toddler who loves nothing more than climbing aboard a pirate ship and shouting ‘ahoy matey’ then this park in Milton Keynes is worth visiting. 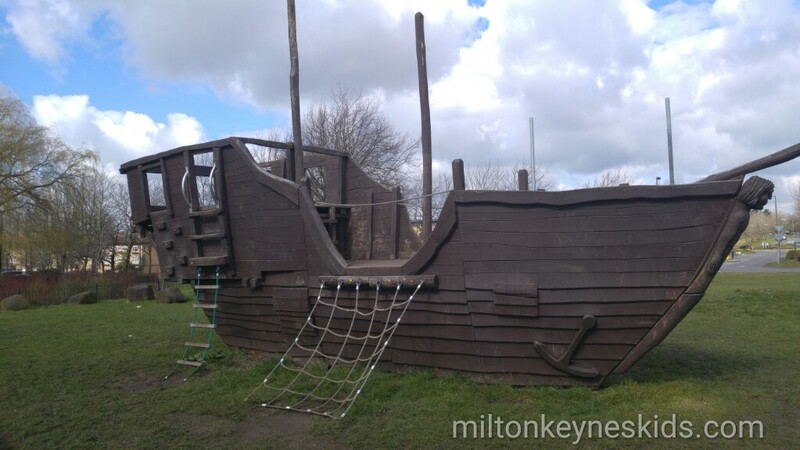 It’s a large wooden ship and is particularly impressive when you’re 2 years old. 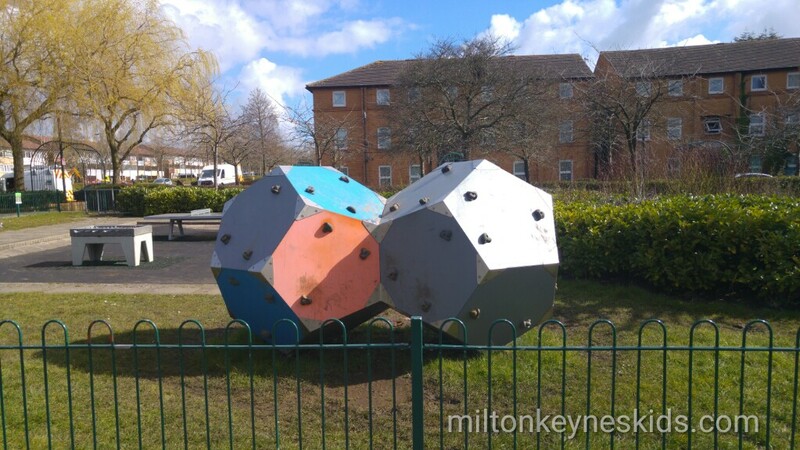 It’s in the middle of a housing estate but is easy to find. 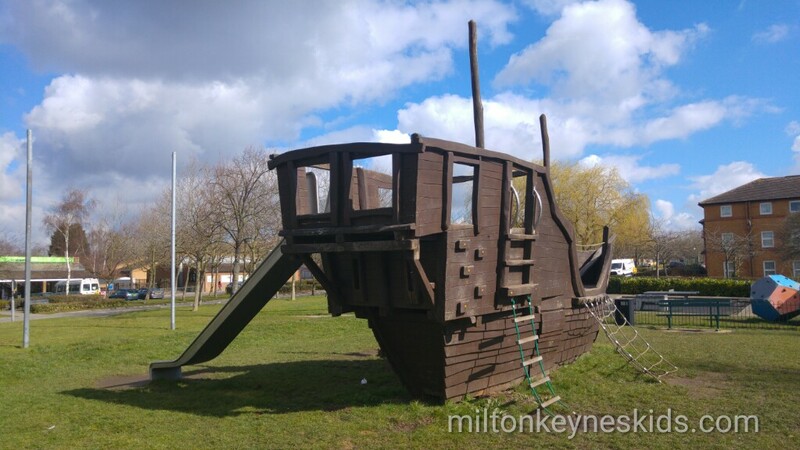 There are shops opposite. 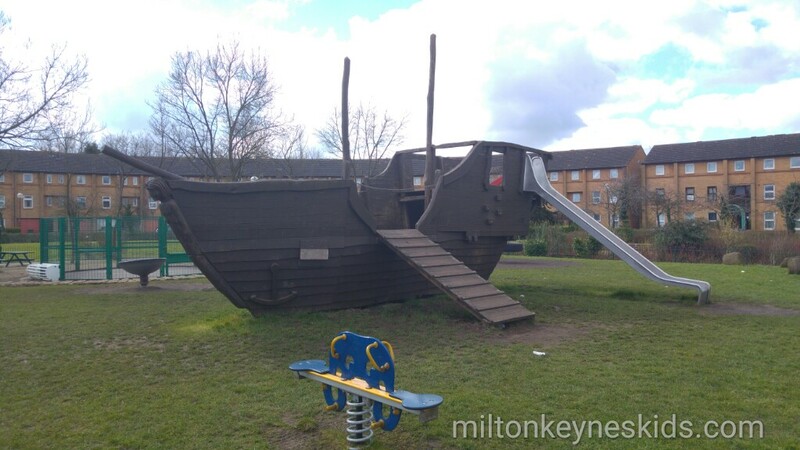 We found it easy to park and stayed for about half an hour.